The table was activated by illegal means and not adjusted to the database in the process. When the table was activated, a database error occurred that prevented the adjustment to the database and, for once, provided no return code. After an attempted conversion for the table that terminated in step 5, the system restores the table by renaming your QCM table. This note applies only to transparent tables. It does not apply to physical pools and clusters. Call SE11 and choose the menu path "Utilities" > "Database Object" > "Check". Call SE14 and choose the menu path "Check" > "Database Object". Call SE14 and choose the menu path "Extras" > "Database Object" > "Check" (F6). To prevent loss of data, you can no longer activate the table during a conversion if this inconsistency exists. Therefore, you cannot execute this conversion. Activating the table with transaction SE11 does not change its inconsistent state. a) Log on as user DDIC. c) Enter the name of the table and choose "Edit". d) In the menu, choose: "Table" -> "Reconstruct". e) Confirm the execution as an emergency repair. f) Select the radio button for the processing type as follows: "Direct" or (for very large tables) "Background". g) Select the "Save data" radio button. h) Choose "Activate and adjust database" to activate the table. 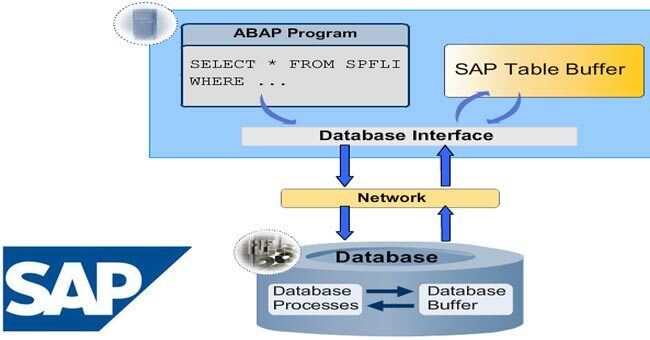 F7 - between runtime object and the description in the ABAP Dictionary. Enter the name of the table and choose "Edit". Select the index and choose "Choose (F2)". If you choose "Activate and adjust", the system creates the index again and it is consistent. Check the object log of this activation. If an error occurs, eliminate the cause and reactivate the index. If this does not eliminate the inconsistency, create a CSN message under the component BC-DWB-DIC-AC. How can I find all the tables that need such treatment i.e. the list of tables for which the ABAP Dictionary and Database are inconsistent? hi frnd, Database and ABAP DDIC identify your doute ? your create only custom tables start with key Z or Y so you can given technical and enhance setting those are physically allocate area and feature chages in Database table..